You could be paying more for your bacon sandwich because of Brexit, various headlines in the national media have warned readers over the past week. The articles correctly point to a combination of the post-Brexit fall in the value of the pound and a surge in Chinese demand as key drivers behind the rise in pigmeat prices. 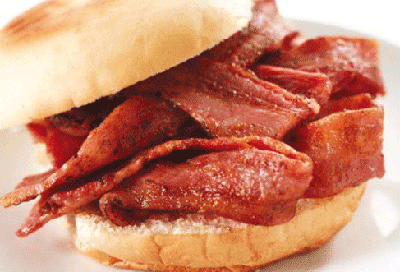 The spike in demand, is reported to have resulted in some British suppliers pushing up the price of a smoked bacon packet up by nearly 40 per cent. "All this means we might be paying a higher price for a bacon sandwich for the foreseeable future," Beacon Foods' Emma Warrington is quoted as saying. While the premise of these stories - the rise in pork prices - is unquestionably true, not to mention very welcome for some NPA members, we feel some context is needed. The first thing to point out is that the recent rise in pigmeat prices is from a very low base. The current headline price of around 138p/kg is something of a return to normality, following a long period when prices scraped along at an entirely unsustainable level of 110-120p/kg during the first five months of the year. But it is still only a few pence ahead of where it was a year ago. We also need to be careful consumers do not equate rises in the price paid to producers and processors with retail prices. It remains an incredibly competitive retail environment and, while we may see small rises in the price of some bacon packs in stores, we expect retail margins, rather than consumer pockets, to bear much of the brunt. NPA's Zoe Davies said: "This welcome rise in prices for pig producers has come about as a result of exchange rate changes, higher demand and a tightening of supply. "We note the concerns raised over retail prices but want to emphasise the recent price rises to producers have come from a desperately low base. "There might well be more to come for producers but there is no reason to believe this will translate into significantly higher prices for consumers. "There is plenty of room yet in retail margins to absorb these costs. "In fact, with EU pigmeat still trading at a significantly higher price, NPA is expecting to see retailers increasingly switching their allegiance from imported to British pork. "With the UK about to sever its links with the EU, and all the uncertainty that brings, it must make sense for retailers to shore up their domestic supply."